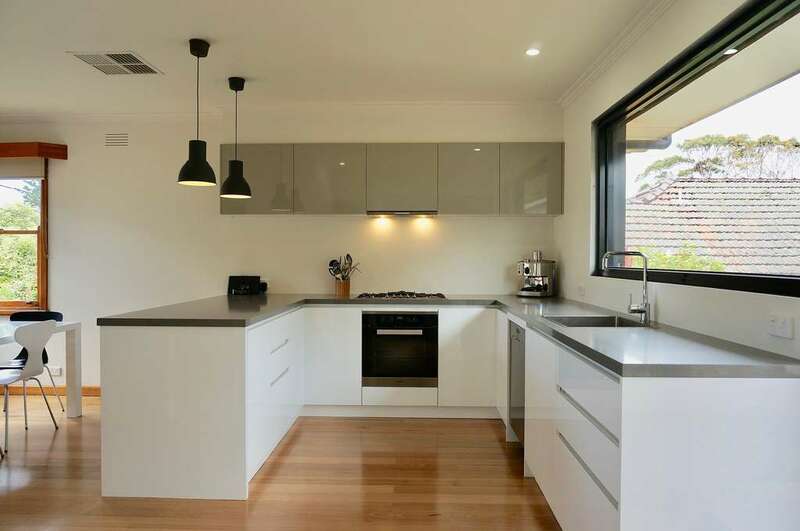 "The house was very close to Santa Casa beach, very big backyard and nice modern kitchen and bathroom." 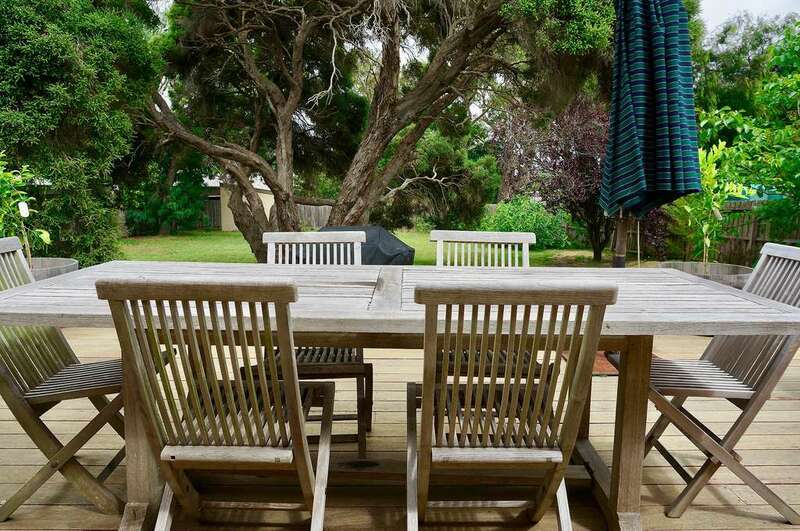 "House is in a great area of Queenscliff"
MOONAH - Recently renovated! Great location close to Nunn's Beach with a huge back yard and central heating & aircon..
Moonah is a gorgeous three bedroom home on a huge block and close to the beach. The three bedrooms consist of: 2 x queen, and the 3rd with 1 x double and 1 x single. 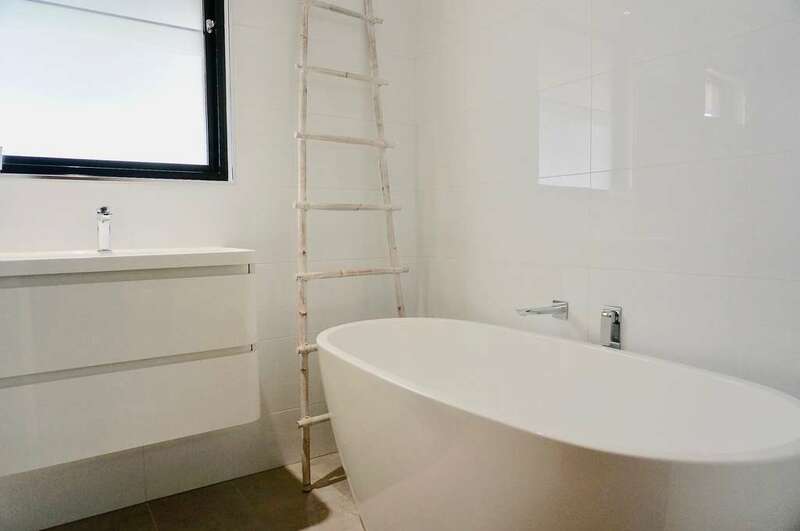 The bathroom is luxurious and has a beautiful deep free standing bath, large separate shower, toilet and vanity. 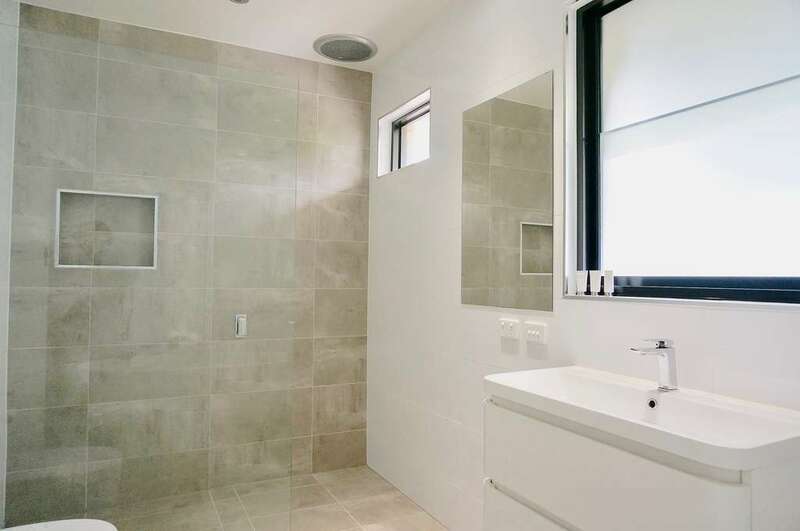 And there is another separate toilet off the hall.This generous family home is close to Nunn's Beach and Swan Bay and has recently been refurbished. It now offers families a very comfortable holiday with ducted evaporative air conditioning and ducted heating. Plus Foxtel and Wi-Fi. 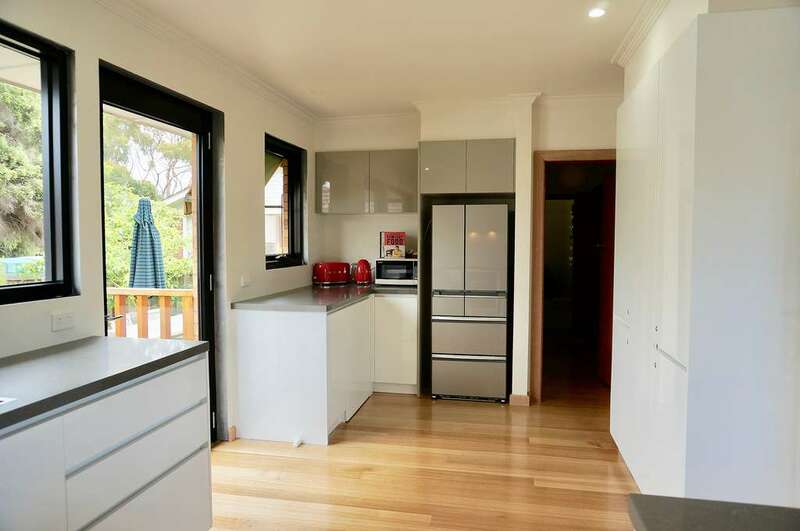 The light filled and NEW family kitchen has a dishwasher, microwave, coffee machine and Miele appliances. 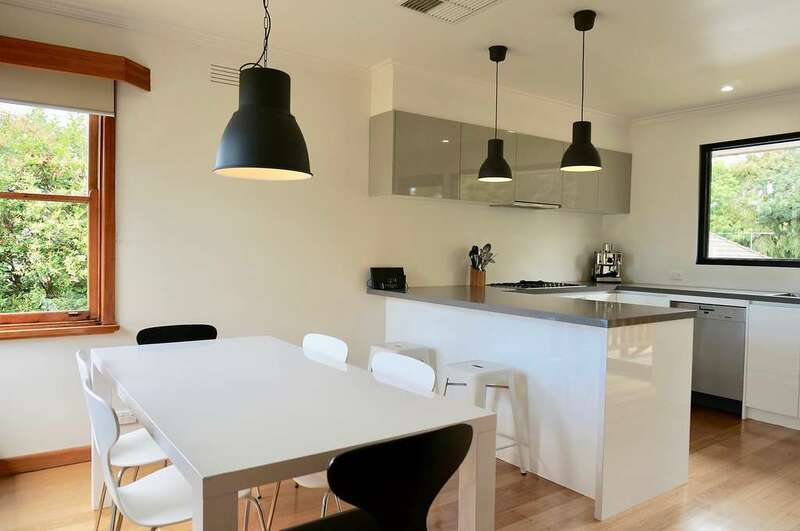 It is open plan to the dining area which has a modern table setting with 6 chairs. It also has a European Laundry with a Miele washing machine (No dryer). The coffee machine is a Sunbeam and it takes any type of ground coffee(no pods). 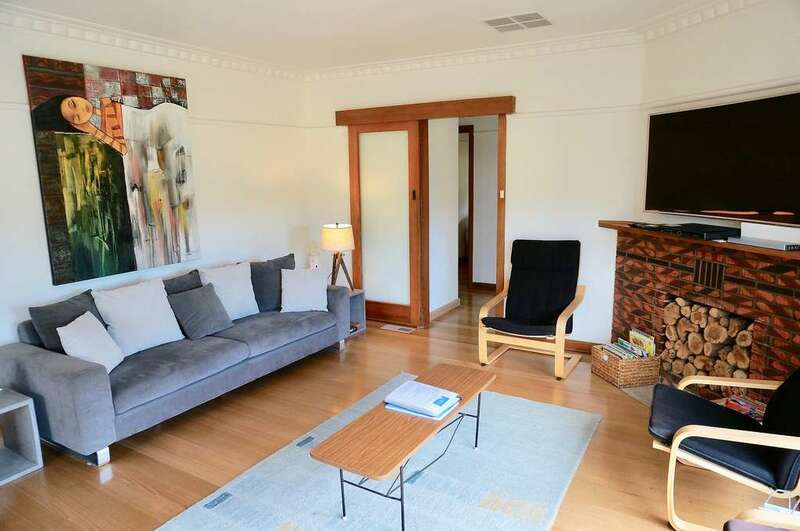 Polished floors feature throughout the home, including the lounge which has a modern 4 seater couch, 2 armchairs, long ottoman, large screen TV (including Foxtel)& DVD & Wifi. 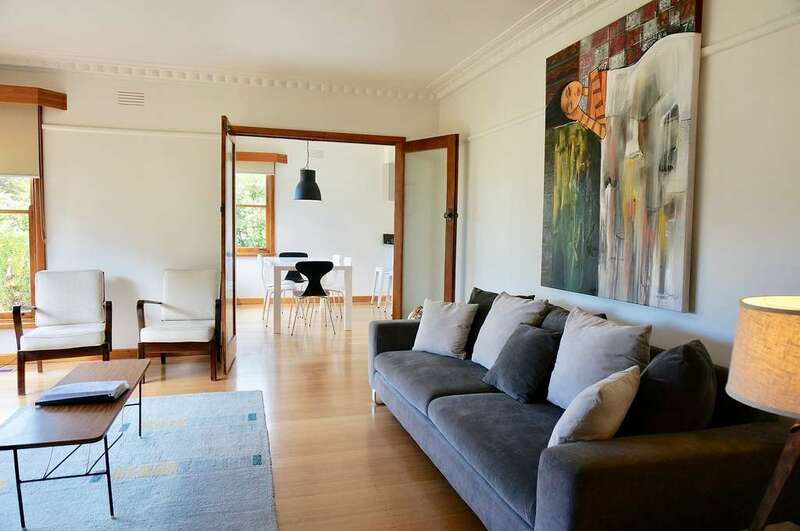 Your small furry kids are welcome but they need to be small as larger doggies may scratch the beautiful timber floors. 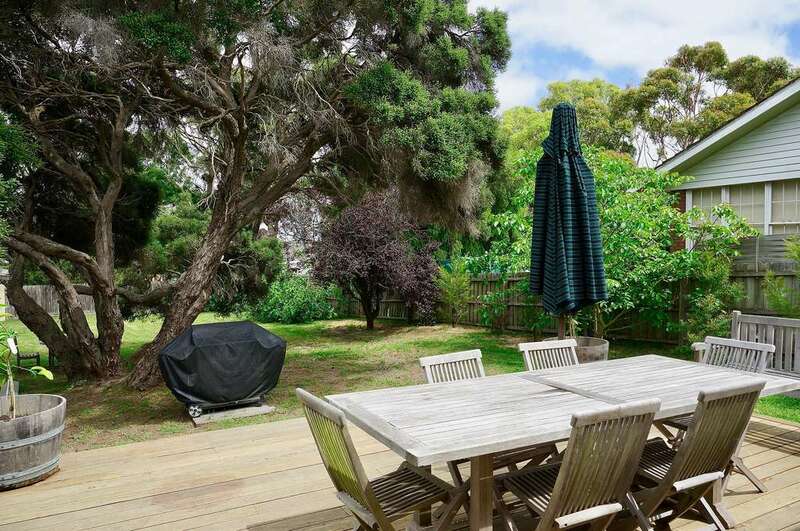 The huge back yard has a large bbq deck and outdoor setting with loads of room for everyone - perfect for backyard cricket or hide and seek for the littlies and your fur babies. Please note the garage is not available for guest's use. -Linen is NOT provided at this property. 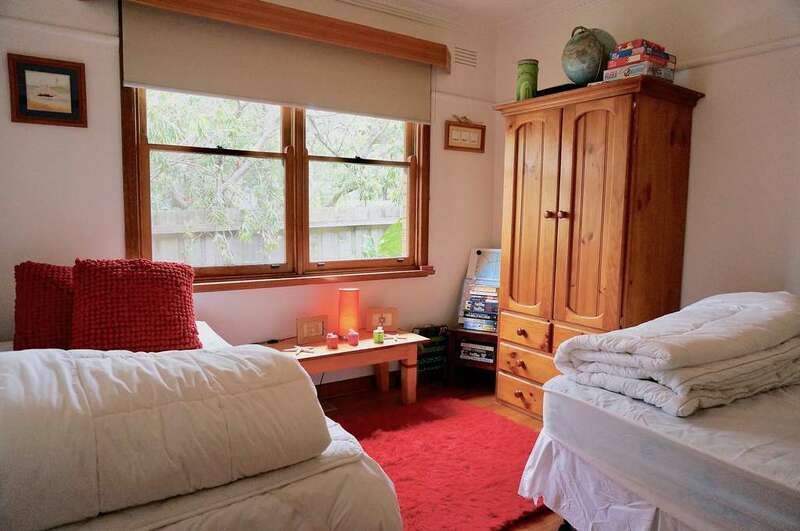 Doona and pillow inserts are included. 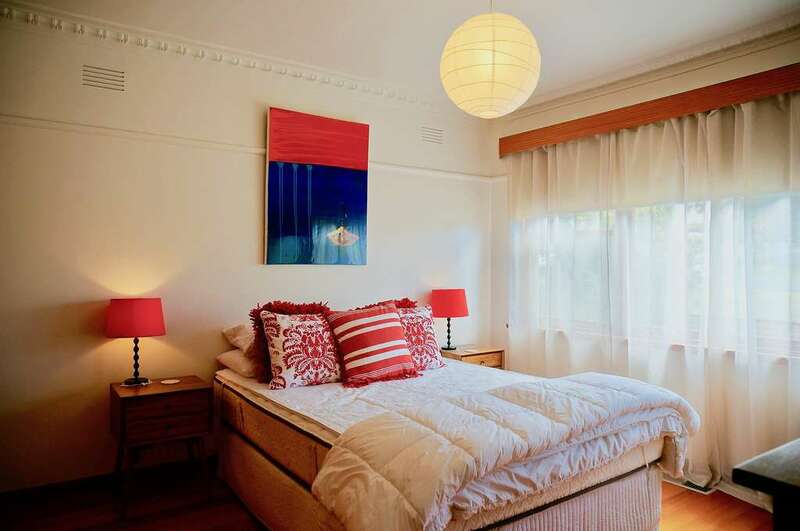 Guest must bring their own linen and towels or contact our office about linen pack hire at a cost of $50.00 per bed. -Well behaved dogs are welcome. There is an additional $33.00 fee if you bring your dog. Please also bring your own doggie bowl, bedding, dog towels etc. **Please be aware that wifi signals in the Queenscliff & Point Lonsdale areas can at times be very weak, particularly in high peak holiday season. QCHB do not accept any responsibility on the speed or reliability of internet connections. Dongle hire is available from our office if required. 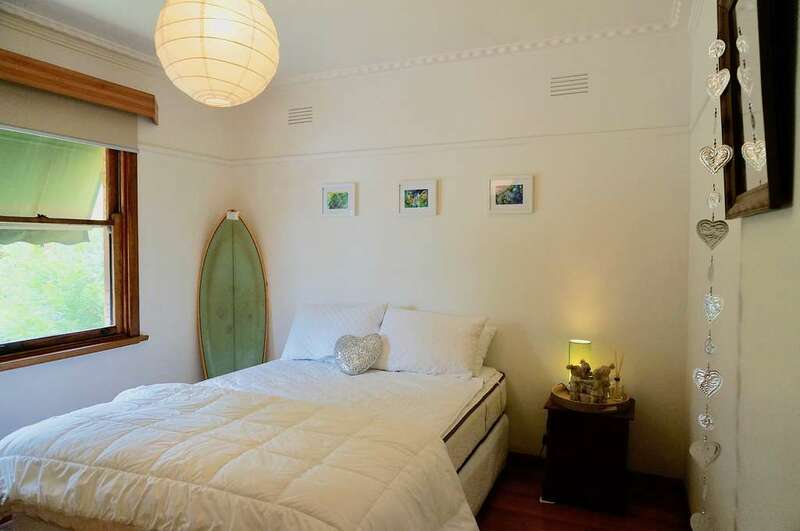 This booking is facilitated by Queenscliff & Coastal Holidays and as such please ensure you are familiar with our Terms & Conditions as provided on our Website. Hop onboard for some great family fun this Easter at Bellarine Railway. 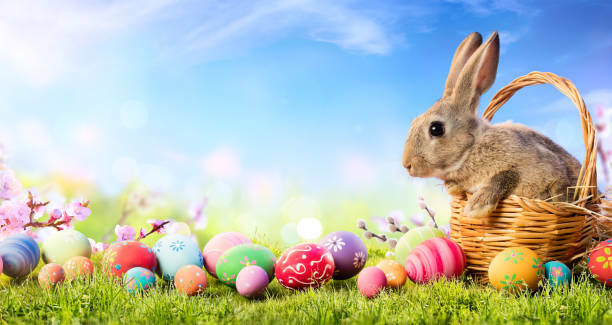 Enjoy a scenic 45 minute return train ride, ‘Bunny Spotto’ activity, Easter bonnet parade with prizes, an Easter Egg hunt for children plus photo opportunities with the Easter Bunny. Book online to avoid disappointment or purchase tickets at Queenscliff booking office on the day, unless sold out prior. At The Adventure Park Geelong, which is only a short distance from Queenscliff and Point Lonsdale, you will find a wonderful Easter event for the kids! 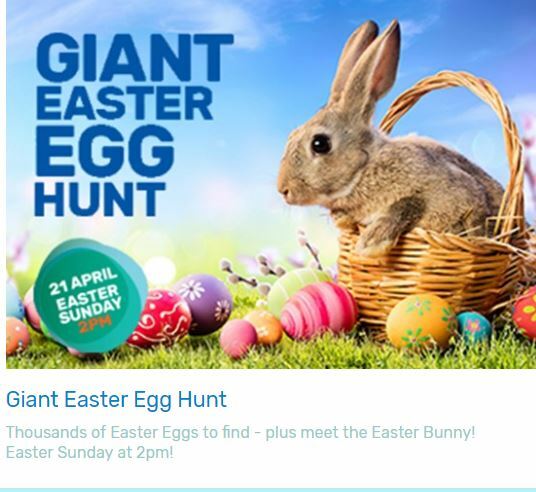 On Sunday the 21st April, along with the Easter Bunny, will be a giant easter egg hunt for the littlies. Visit the website for more details. 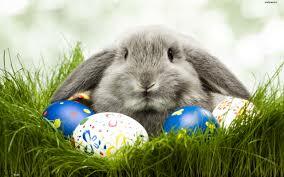 Bring the kids along at 2pm for a giant Easter Egg Hunt at the Geelong Adventure Park. 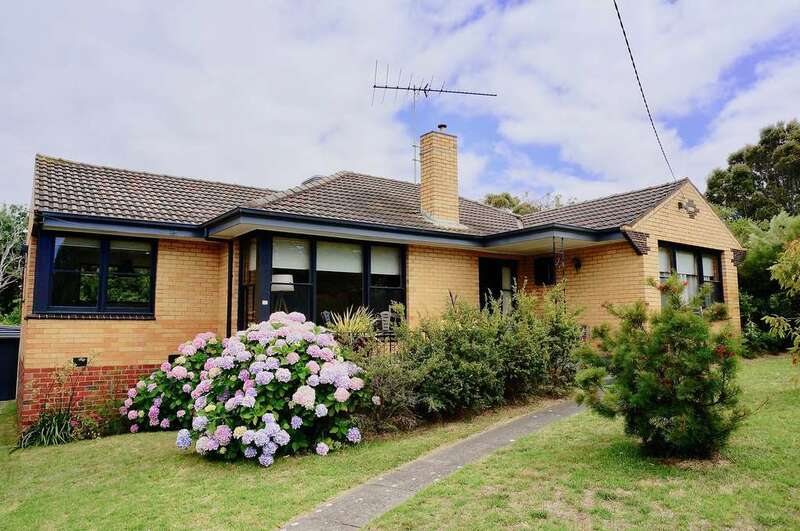 It is only a short drive from Queenscliff and Point Lonsdale. The kids will love meeting the Easter Bunny too! 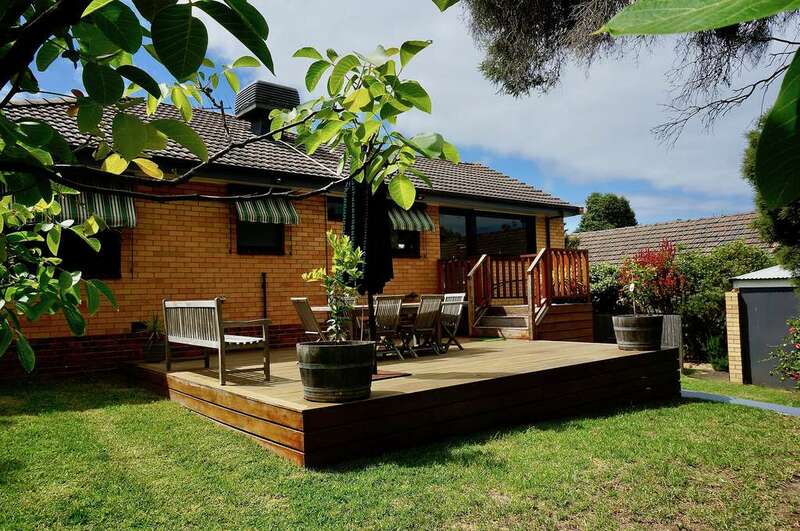 Established in 2007 by three friends and former colleagues, QCHB was the first holiday booking agency of its kind in Queenscliff & Point Lonsdale. As a boutique agency, we take great pride in our property portfolio. We ensure property amenities & presentation meet or exceed the expectations of our guests. We welcome you to check out the wonderful selection of homes listed, search online availability and pricing by selecting more information on each property. Short-list your favourites and request a quote or proceed with placing a booking. Our friendly consultants are available on (03) 5258 3763 if you require further information or need assistance in placing a booking.